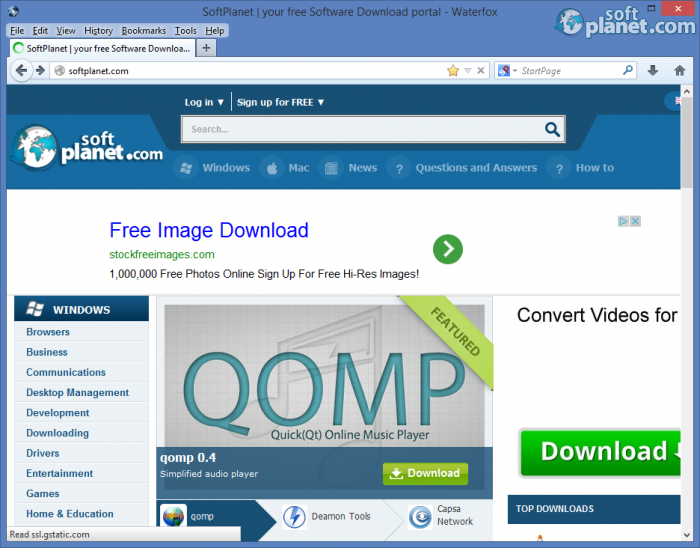 SoftPlanet makes it possible for everyone to get free Waterfox download directly from our servers. There is no registration needed for downloading. Mozilla Firefox is famous as one of the fastest browsers that are available for usage and that's why it is one of the most used web browsers in the world. But the “fire fox” is not the only version of the application since Mozilla has created another one, specifically developed for 64-bit operating systems. Now there is also a “water fox” that, according to the developer, is specially focused on expanding the most famous feature of the application. With Waterfox that is based on Firefox, you get even more speed – something that we didn't think was possible. The program includes all the features that are offered by Mozilla Firefox and actually when you work with the application you will not find any difference between these two web browsers. The difference becomes visible when you start using some of the functions that require more speed from the program. Waterfox proved to be very fast while we were testing it and the web browser loaded the web pages to the max of the Internet speed that we have available. The differences that we can point out between Waterfox and Firefox, besides the speed, are some features that will be useful and understandable by advanced users only. There is nothing more that we can say for the interface of the app, because the look of Waterfox is the same as the one offered by Firefox. You still have the tabbed options available and the menus are the same. Even the functions that you use from the menus are the same. Actually, after you install Waterfox and then you click on the icon for Mozilla Firefox, it starts Waterfox. The only different thing for the browser that replaces your old one is that it puts its own first screen on the program. This is not something which should despair you, because Waterfox is not focused on changing Mozilla Firefox, but in expanding its best feature – speed – for the 64-bit operating systems that have more capabilities. This is because the application is compiled with Intel's C++ compiler that increases speed thanks to several optimizations. 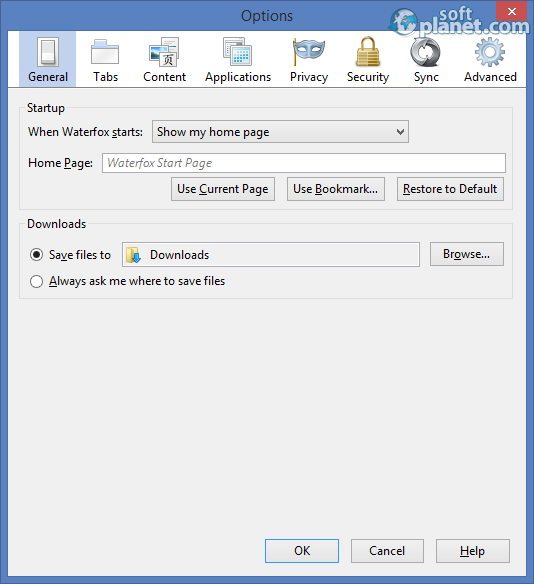 Waterfox can use all the plug-ins that are available for Firefox, which means that the app can use Java, Adobe Flash Player and Microsoft Silverlight extensions. The app also includes Advanced Vector Extensions and Jemmalloc. There are not many other differences in the features, but you can also personalize the application depending on your taste with a profile offered by the program. The rest of the customization options are the same. 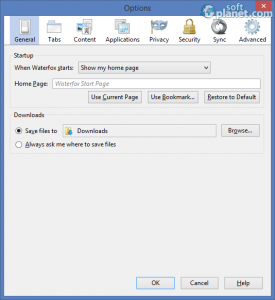 Waterfox can be a great replacement for Mozilla Firefox for 64-bit operating systems, because the application increases the speed of one of the most used web browsers. The program offers some other changes that will be noticed mostly by advanced users, but if you simply want a faster Mozilla browser – then download Waterfox. Our security scan shows that Waterfox is clean from viruses. The current version of Waterfox has been scanned by our system, which contains 46 different anti-virus algorithms. That ensures that Waterfox 27.0.2 is 100% safe for your computer.